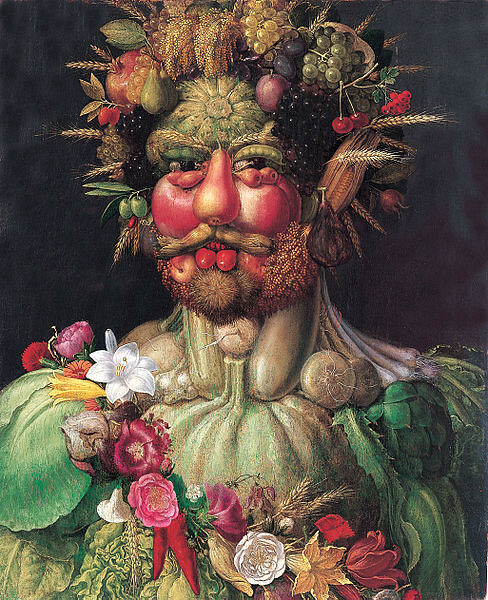 Nearly half a millennium after their creation, artist Giuseppe Arcimboldo’s vegetal visages live on through a handful of kitschy European food brands. From the southern tip of Sicily, his painting Summer (1563) solicits buyers of oblong and ox heart tomatoes. Further north, Vertumnus (c. 1590) has been adopted by the Bertuzzi juice company. And at an amusement park outside Paris, his work has been taken to epic proportions by a commemorative restaurant flanked by mountains of oversized phosphorescent fruit. The story of an artist who influenced Picasso and Dali: “The Renaissance Artist Whose Fruit-Faced Portraits Inspired the Surrealists.” See also this earlier almanac entry on Arcimboldo. 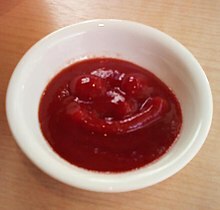 As we consider a salad, we might recall that it was on this date in 1981 that the USDA announced that ketchup could be counted as a vegetable in computing the nutritional value of meals served in school lunch programs.